Food can be our medicine, fix our ailments and help us perform better – but just how important is nutrition for fitness? We talk regularly about cutting things out of our diet to help us lose weight and stop us feeling anxious, to help us sleep, or to help with gut issues. But we also need to think about the foods we really should be eating, and stress the importance of eating a varied and balanced diet. Food is essentially medicine for our body and mind, and it can help us reach our peak physical performance and boost our fitness. We’ve all heard about “superfoods” – foods packed with nutrients, protein, vitamins and mineral. Think the likes of chia seeds, goji berries, avocados, mangoes, red peppers and many nuts and legumes. 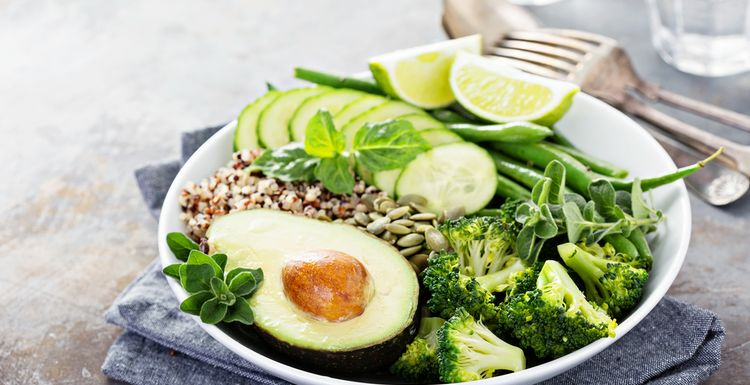 These foods are full of antioxidants which help to reduce inflammation in the body – and when you are under physical stress you need to feed your body with healing foods. When you are working out and tearing your muscles (in a positive way) through weight lifting, running long distances, and intensive sports, you need to repair your body and this is best done through eating protein, which rebuilds muscle fibres. Foods full of quercetin have been shown to improve athletic ability – foods like apples, onions, broccoli and berries. Foods can also help you burn fat by boosting your metabolism. Foods high in caffeine like black coffee and green tea, or in capsaicin which can be found in hot chilli peppers, help you burn more fat while you’re resting. So is nutrition important for fitness? Yes, it’s absolutely key. Nail your nutrition and the fitness will come naturally. I find fitness and good nutrition work in tandem. The healthier I eat, the more I want to exercise, ,and the more I exercise the less keen I am on junk food.